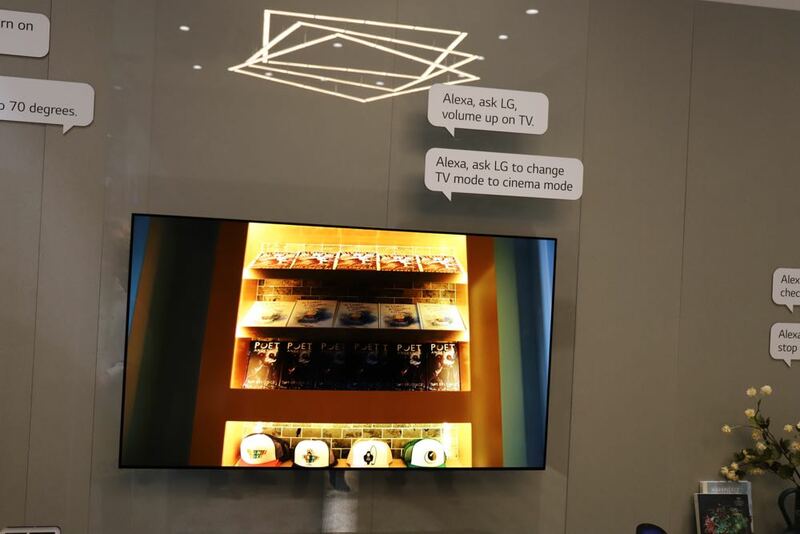 LG’s booth at the Consumer Electronics Show was eye-catching and told the story of the company’s connected approach so no product will ever stand alone in its exciting new ecosystem. 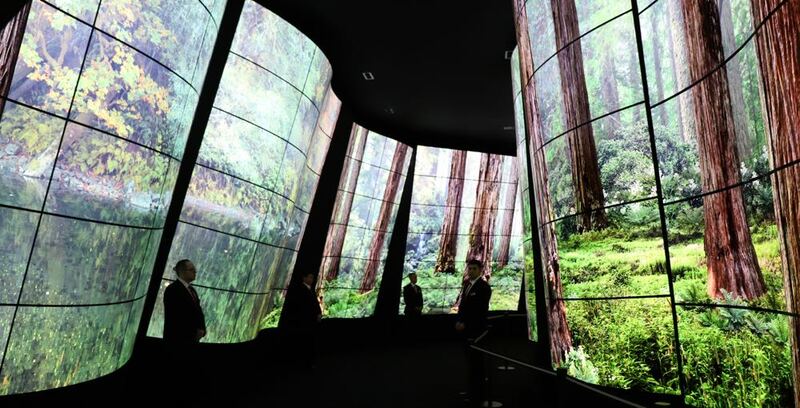 Right from the start, the LG CES booth is a visual feast with an OLED canyon directing visitors inside the stand. The walls of the canyon are made from curved OLED panels which demonstrates the versatility of the format. 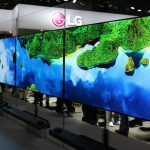 LG Display – the company that supplies the OLED panels to not only LG but also to Sony, Panasonic and to Hisense later this year – also had a behind-closed-doors prototype of a roll-up OLED. 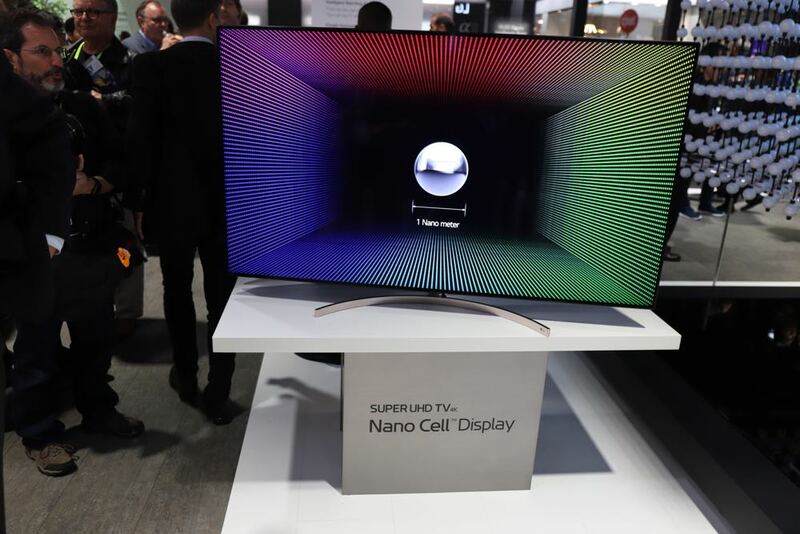 The 65-inch screen comes up out of a base and unfolds like a projector screen and looks like a regular OLED screen when it is completely rolled out. 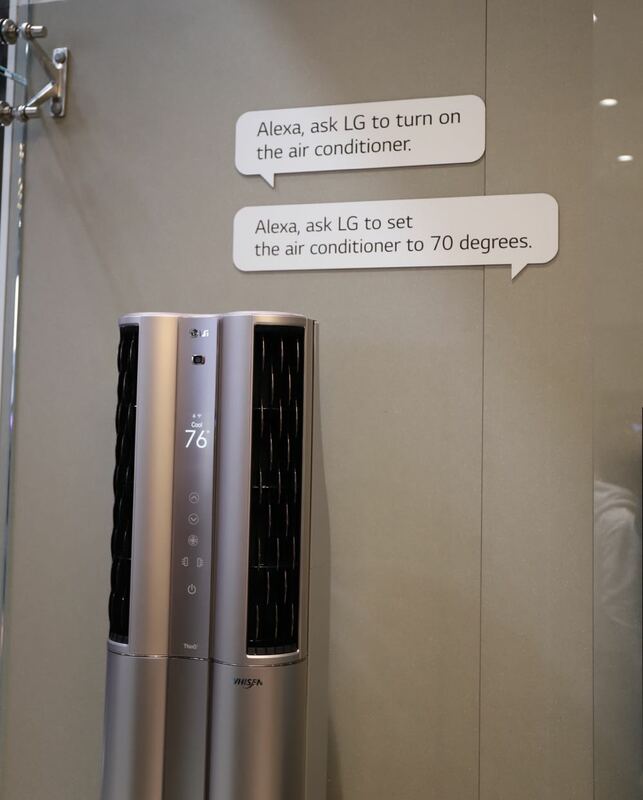 The LG booth was set up in different zones with a living room, kitchen and laundry areas to demonstrate how the TVs, speakers, lights, air conditioners, air purifiers and kitchen and laundry appliances can all communicate. 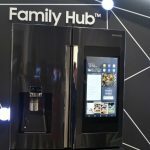 The family of LG products all have LG’s intelligent ThinQ technology onboard so they’re all on the same page and can connect to one another. 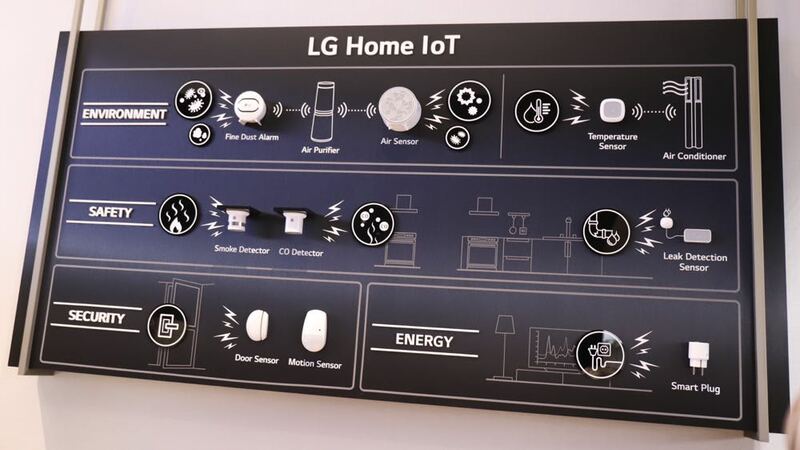 To add the smarts of your home, LG will also offer a range of sensors which can detect things like air particles, the temperature, smoke and carbon monoxide and even water leaks. When these sensors reach a certain level, they can trigger actions. For example, if the temperature reaches 26 degrees it can tell the air conditioner to turn on automatically. If the air sensor detects fine particles, the air purifier can be activated. 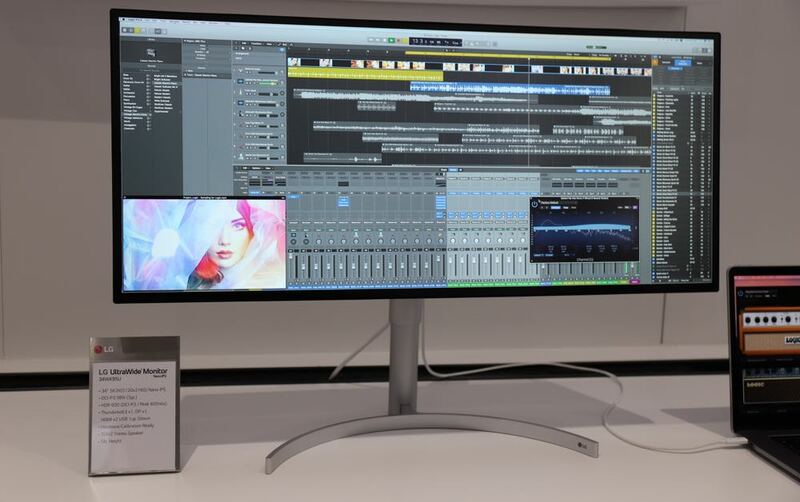 Moving on to the monitors, LG has released a 21:9 ultrawide monitor with 5K resolution that offers the user, whether they’re an editor, designer or gamer, so much more screen real estate. 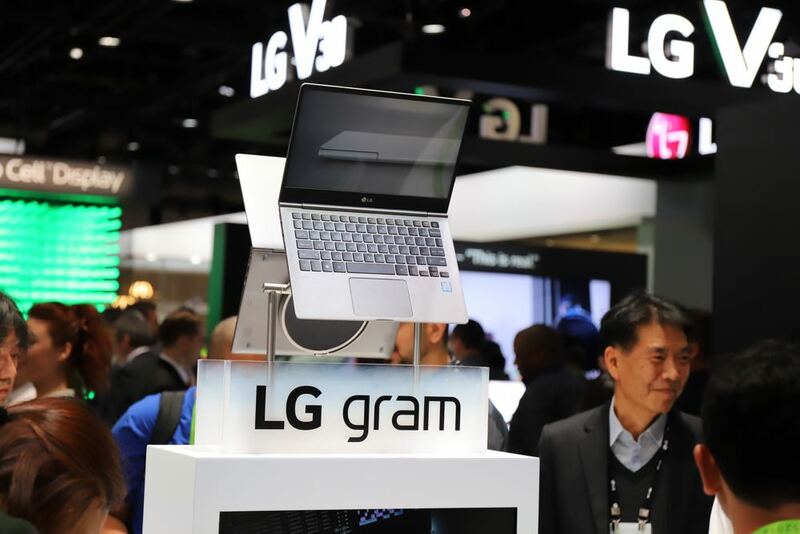 LG may also be releasing an ultra slim and light laptop computer into the Australian market. The LG Gram weighs less than 1kg and has a battery life that exceeds other devices in its class. The company says the laptop may make it to Australia if retailers show some interest in stocking it. 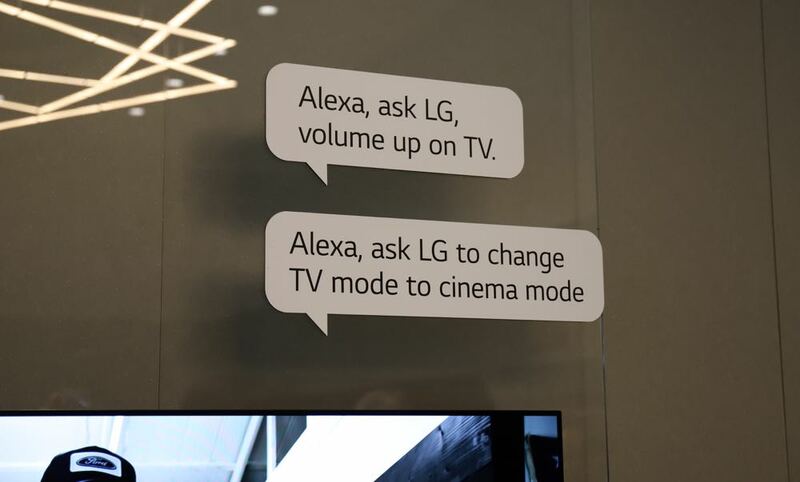 In the audio section of the LG stand there are Dolby Atmos soundbars which can replace the stand of the latest LG OLED TVs. 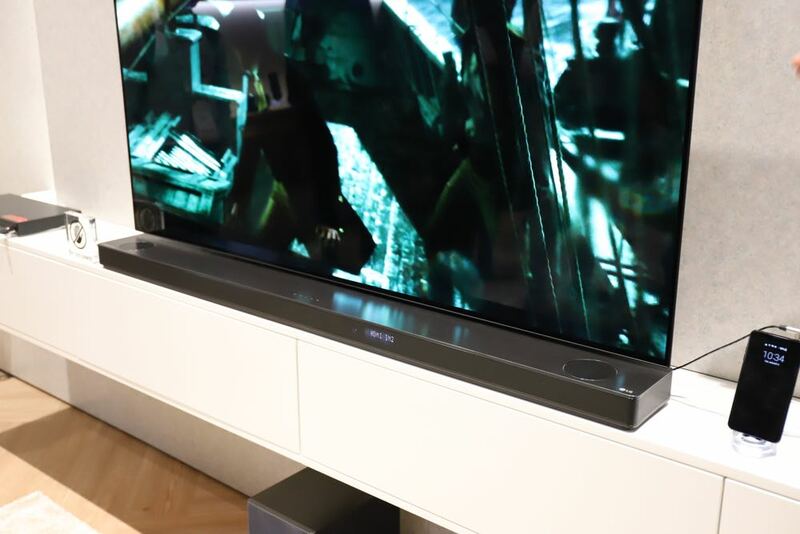 So no more trying to find room in front of the TV – the soundbar becomes the stand. It helps that the OLED panel is super light. LG also had a range of Bluetooth speakers powered by Google Assistant created with its new partners at Meridian Audio. 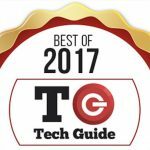 These speakers allow users to talk to Google Assistant while also enjoying superior audio quality. LG have also created short throw projectors – this means they only need to be positioned a metre or two from the screen. 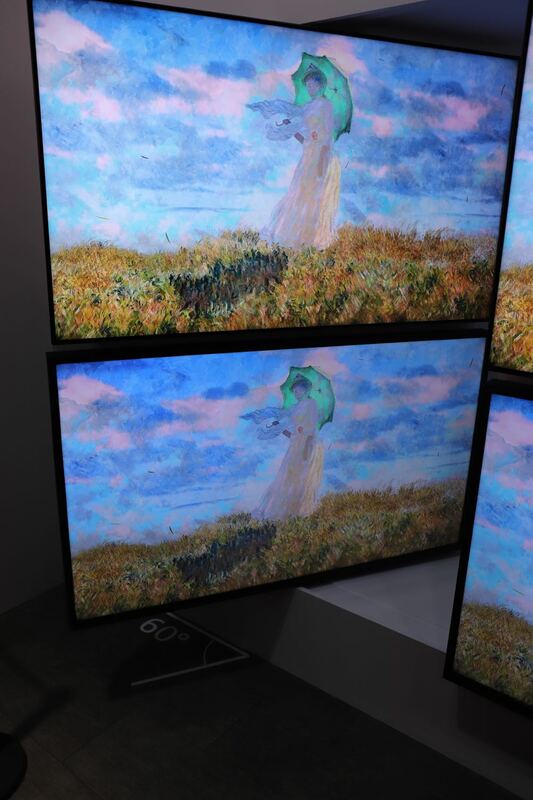 The LG 4K UHD model can generate a 150-inch image from about two metres. A regular 4K projector would need a throw length of up to six metres. While the OLED TVs are the jewel in the crown for LG, it SUHD range with Nano Cell technology punch above their weight. First the viewing angle is remarkable with the viewer able to sit 60 degrees off axis and still enjoy the same picture quality as someone sitting dead centre. 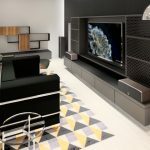 The other incredible feature is being able to hear Dolby Atmos – the three-dimensional sound format where sounds come from all around and from above – through the TVs built-in downfiring speakers. 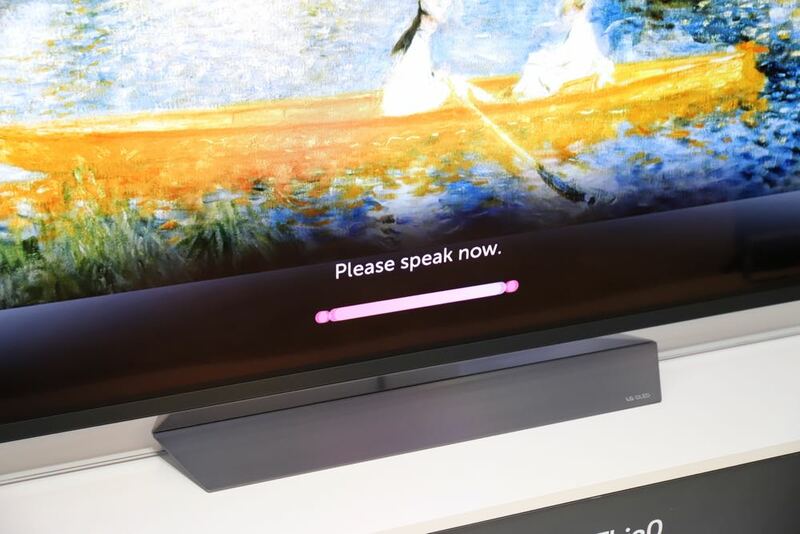 We heard a demo of the technology with the team at Dolby and we were blown away. There were sounds coming from all around us and from above and all originating from the back of the TV. 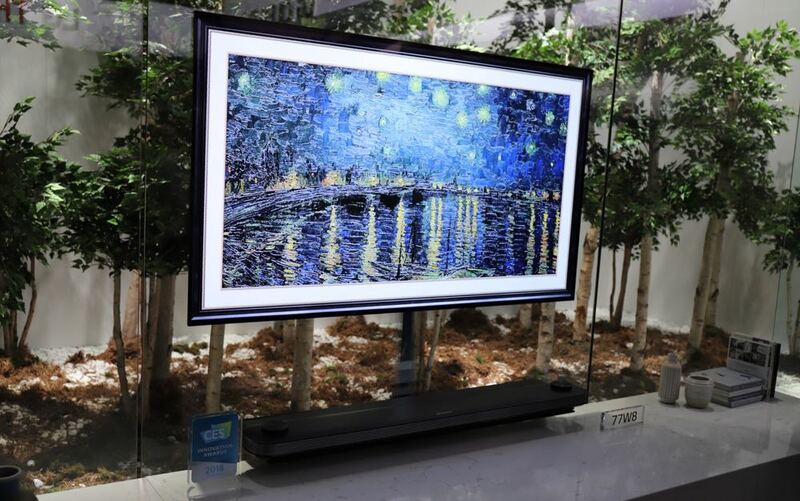 But the OLED TVs were still the standout star of the show on the LG stand. The wallpaper W Series OLED looks almost identical as last year but with the addition of the Alpha 9 processor it’s been souped up significantly under the hood. It has improved upscaling from SD and HD to 4K including increasing the quality of TV signals on the screen. There was a demo of the improved frame rate which can now handle 120 frames per second. There were two screens with a model train moving right to left. The top screen had the improved frame rate and so smooth you could easily read the writing on the sides of the carriage. 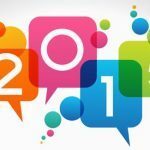 From what we saw on the LG booth it looks like the company will have a bright 2018.